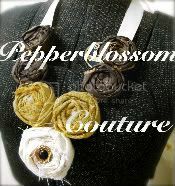 pepperblossom decor: Some more fabulous Items..
and that's just the start! She also has from Ed hardy to other Name Brand shirts you can find at Nordstroms for a great discount!! So Don't miss out! Prices of Jeans to vary so come see what we got to offer this Saturday! !